To make a long story short, I love seaweed. I mean the garden loves seaweed, and the garden is the ultimate boss, so I aim to please the garden! In edible terms, the many forms of aquatic plants are called 'sea vegetables', and you'll find the likes of dulse, kombu, wakame and more in shops. Like vegetables they are bursting with minerals and oh so good for you — even if you only have some wrapped around sushi sometimes. Seaweed fertilizer is actually a bit mis-named. It is more of a tonic, due to the low quantity of nitrogen and phosphorus... although it does have the full range of properties in it to improve your soil. As well as supplying bulk to condition the soil, seaweed contains around 60 trace elements, growth hormones and nutrients, and fungal and disease preventatives. Interestingly any soil imbalances, such as a deficiency of nitrogen, will be corrected by adding seaweed which will balance the soil environment so that nitrogen fixing bacteria are helped along. Seaweed stays put if you put it on the garden. It doesn't blow away or clump together or roll away. Seaweed deters pests. Birds don't like to get hurt with it when it's hard and scratchy and don't like getting tangled with it when it's wet and slinky. Same with dogs, cats and many other critters. It's just too darned awkward, and for some animals the smell is off-putting. What's the best way to use seaweed on the garden? Firstly, there is no need to wash seaweed because the sand and salt water clinging to it contains essential elements that will benefit plants. Unless you happen to have a high sodium content in your soil, remember, there is no need to wash seaweed before using it in or on your garden. Secondly, don't try cutting seaweed up with a mower because there are stones, sand and shells hiding in it. Thirdly, dry and hard seaweed is just as phenomenal for plant growth as when it's wet and soft. The older and harder it is, obviously the longer it will take to break down and supply nutrients to the soil for feeding your plants. 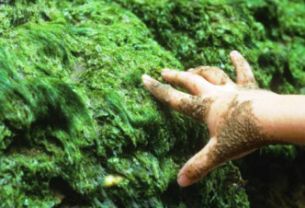 Fourthly, many countries have rules about protecting their marine coastlines, which includes the harvesting of seaweed. Commercial operators you are not, so it's unlikely you will deplete this resource by strolling along the local beach and filling up a bag with seaweed. It is fine to pluck floating seaweed and seaweed below the high tide mark. Seaweed that has washed up above the high tide mark often makes a valuable contribution to the biodiversity of the beach and surrounds. It helps stops sand erosion and provides a habitat for local plant and insect life. And lastly, there is concern that polluted waters pollute the sea life also. Sadly fish certainly have accumulations of medicines, farming chemicals, heavy metals such as mercury and zinc. 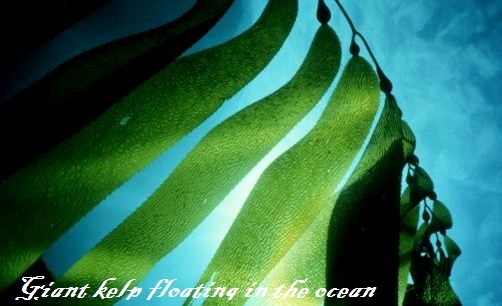 Be aware that seaweed could be also so aim to get it from unpolluted water. 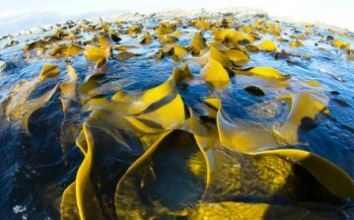 Now get your creative juices flowing... because seaweed is so versatile, here are some tried and tested ways gardeners and farmers, have used seaweed. . . Put seaweed straight on top of the garden, wet or dry. Snake it around plants and chop the bigger kelp fronds first with a sharp spade or let them dry then break them up. Great for tree roots — no need to go close to trunk, put it further out and up to the drip line. Composting seaweed is popular and produces wonderful compost—put in hand-deep layers between other materials. Seaweed acts a compost activator to help speed up... well, the compost making. Many growers of potatoes like to dig out a trench and put seaweed in the bottom, then a layer of good soil or compost. The seed spuds sit on this and are covered with more soil. Putting seaweed in the bottom of holes before planting other plants, such as tomatoes, asparagus and rhubarb is an excellent way to supply seaweed fertilizer to the plants' roots. Potatoes can also just be put down on good soil/compost and a very thick seaweed mulch wrapped around them in a large protective circle. The potatoes are kept moist and protected from the sun and wind and as they grow, pile up more seaweed to protect the growing plants. You get nice clean spuds and a rich bed of soil for the next crop. Let seaweed go dry and crisp then break it up and sprinkle on soil. Make compost tea. Put a large handful of seaweed in a bucket of water (preferably rainwater) and leave to soak for a minimum 3 weeks and up to a year. Put a loose lid on. On a larger scale, use a net onion bag or a porous sack to hold seaweed and put it in, or tie it to hang in a larger barrel or rubbish bin of water. After using the compost tea, you can reuse the seaweed several times with fresh water, then put the seaweed in the compost or use on your garden. The above method to make seaweed tea means you will need to keep it away from the house due to the strong smell. Try and spare the neighbors too... especially on those muggy, buggy summer’s nights... phwew! To make a more beneficial seaweed compost tea containing active organisms, and eliminate the whiffy smells you will need an aerator to oxygenate it, or buy some Microbial Inoculant to generate microbial activity. Both of these can be bought at garden centres or online. For simple, cheap oxygen machines try pet shops that sell fish tank equipment. Follow the instructions to set these systems up and you will produce supreme liquid seaweed fertilizer. If the liquid is too dark, dilute the seaweed tea with water until it is normal tea coloured, then spray on plants. Seaweed compost tea can be applied to the roots of plants or foliar fed on leaves. It's not likely to hurt plants if too strong; it's more a waste of good nutrients that can't be utilized. As well as supplying nutrients for leaves to absorb, seaweed tea sprayed or misted onto leaves, inhibits pests, viruses and fungal problems such as mildew and blight.